AU Photographer's Sydney Hire Department stocks a growing range of hire cameras, lenses, photographic and film equipment. Our hire brands include Sony, Canon, Nikon, Carl Zeiss, Zacuto, Sachtler, Marshall, SmallHD, Aquatech and many others. Pick up of hired cameras and equipment is available for Sydney customers, or we can arrange delivery of rental items Australia-wide. 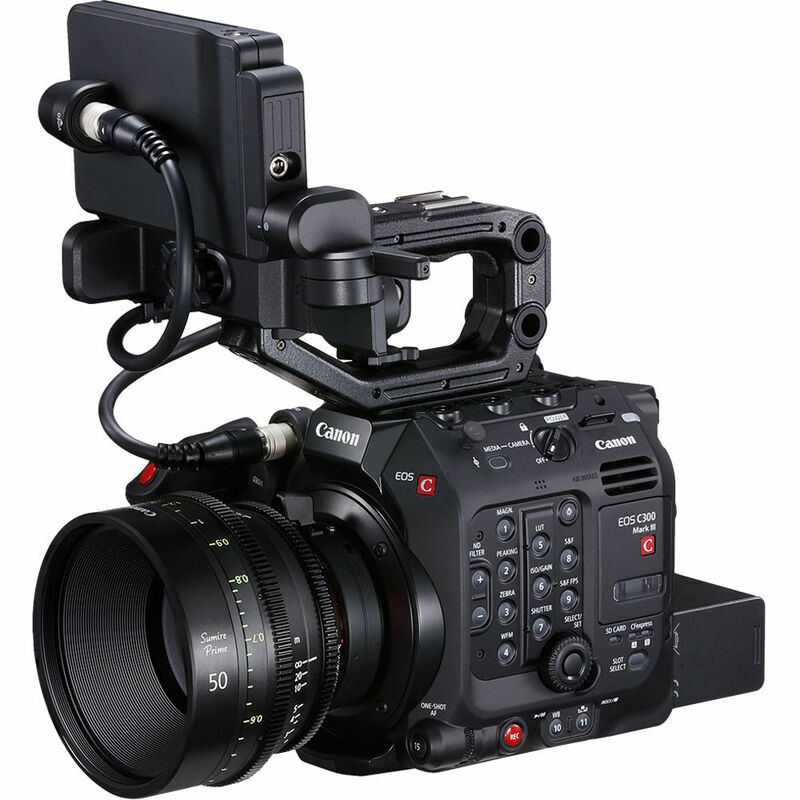 Two new Canon EOS C300 cameras are now in stock and available for hire. Each kit includes the C300 monitor bridge, 32Gb CF cards, batteries etc. Six new Zeiss CP.2 Super Speed Compact Prime hire lenses have now arrived, including the Zeiss CP.2 35mm T1.5, CP.2 50mm T1.5 and CP.2 85mm T1.5. 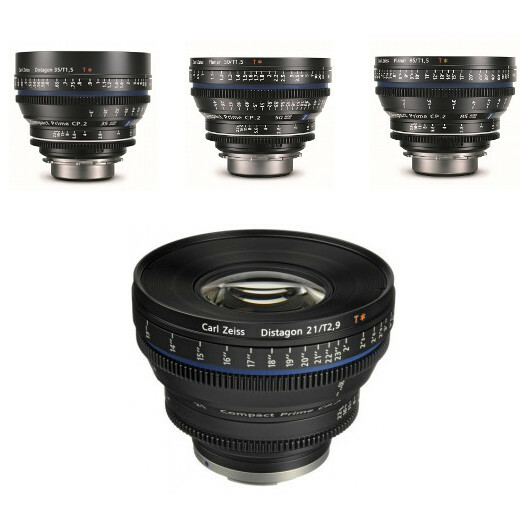 All lenses look amazing and are designed to meet the demands of professional cinematographers. 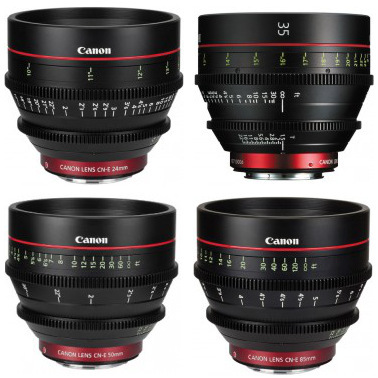 Camera Hire now stock the full range of Canon’s new CN-E Cinema Prime lenses, including the 14mm, 24mm, 50mm, 85mm and 135mm (35mm available early 2014). These lenses designed specifically for Cinema professionals, with totally manual focus and iris ring controls. The Canon Cinema Prime lenses are ideal for filmmakers, videographers and production companies looking to hire the best lenses available. 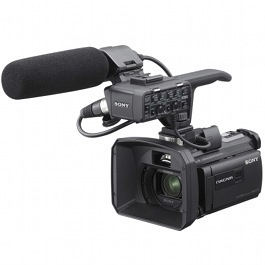 Hire Sony’s new NEX-FS700 video camera. Features include full HD slow-motion shooting at 240 fps, a new Super35 4K ready CMOS sensor and built-in ND filters. Camera can be used with Metabones adapter to mount Canon EF lenses. Hire the Metabones E-mount to Canon EF mount adapter, and mount Canon’s range of hire lenses to the Sony FS700 camera. The Canon 5d mark iii hire camera features a full-frame 22.3 MP sensor, with ISO up to 102 400 and continuous shooting up to 6 fps. 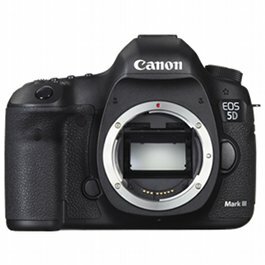 Updated video capabilities of the 5d mark iii camera include Full HD recording 1080p up to 30 fps, or 720p at up to 60 fps, headphone output and manual audio level control. We also have a range of Canon Lenses, Accessories and Lighting Equipment available for hire. We value your opinion. If you have any feedback, or there are hire cameras, lenses and equipment you would like see us stock, please let us know.